B. 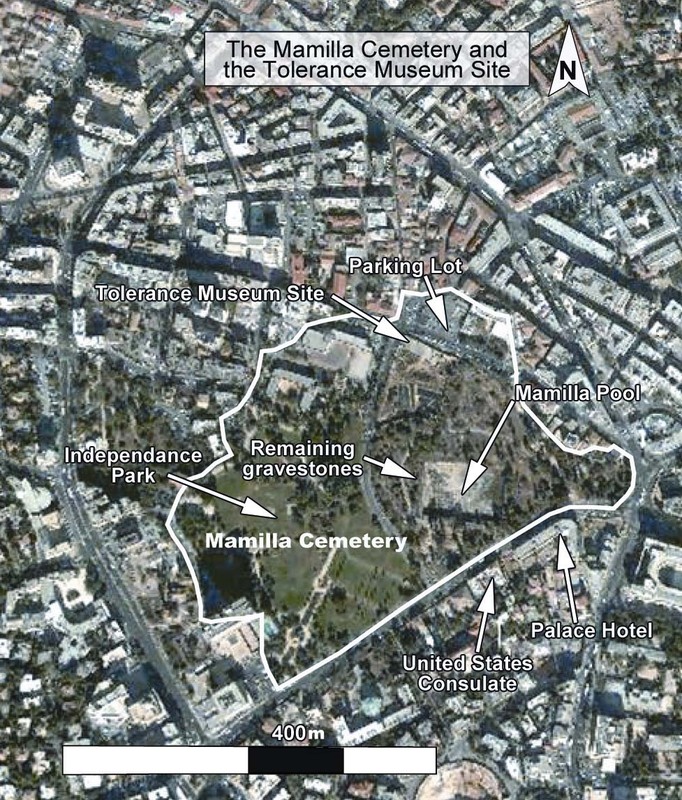 2010 Aerial photograph showing the original boundaries of the cemetery and identifying the various encroachments onto the Mamilla Cemetery, including the fenced off portion in the northern section where the “Center for Human Dignity - Museum of Tolerance” is slated to be built, Independence Park in the western portion, and what remains visible of the cemetery in the eastern portion, including the Mamilla Pool. 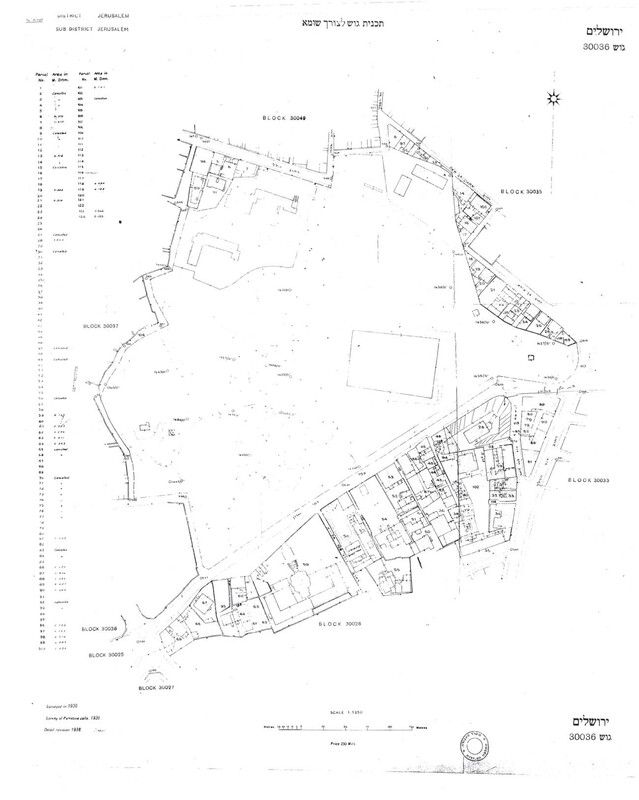 C. A 1936 Survey Map showing Mamilla Cemetery as one contiguous plot, without any modern structures built within its boundaries. 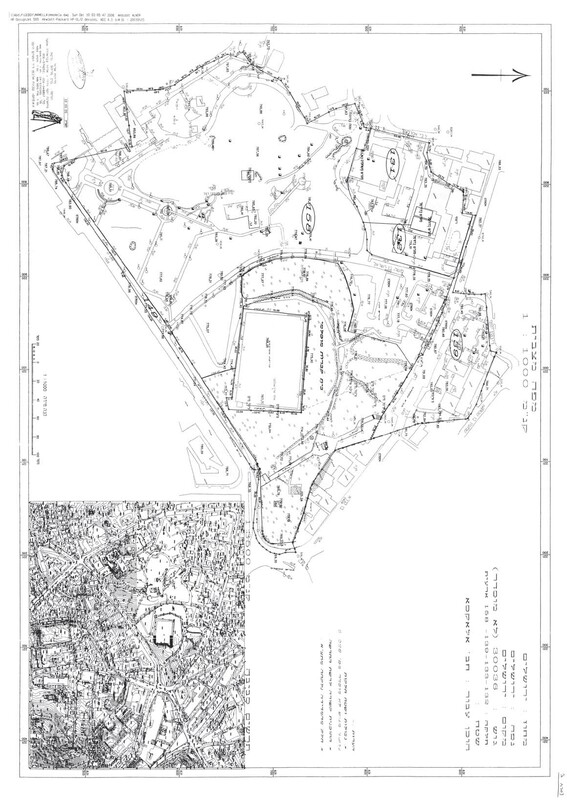 D. 2006 map showing the Mamilla Cemetery divided into various plots, including 158, constituting Independence Park, 131 and 132, where a school and playing field have been erected, 139, where an underground parking lot and other structures have been constructed, and the unmarked area just south of plot 139, where the boundaries of the Museum construction site are highlighted. 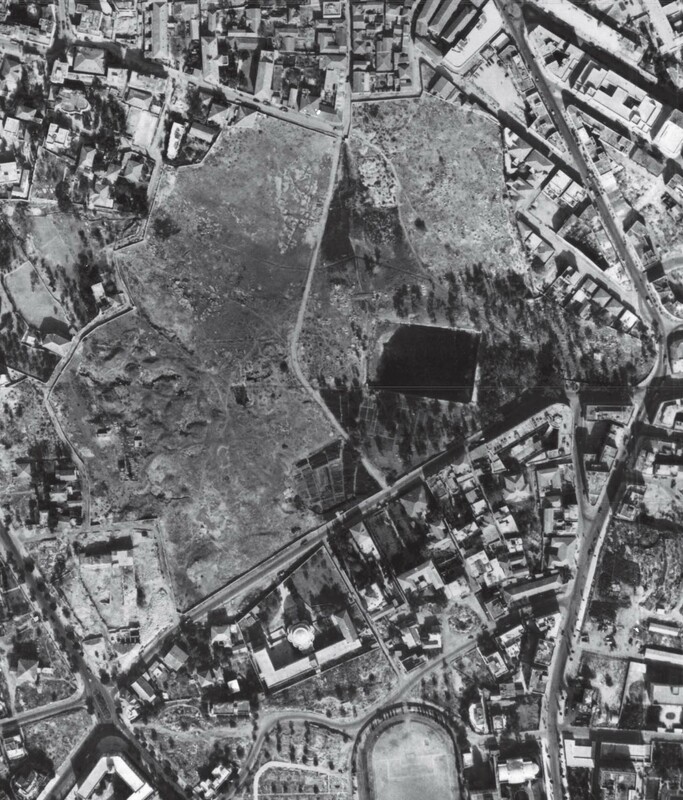 The eastern portion is marked “Muslim Cemetery,” which is what remains visible of the ancient cemetery and its historical structures, including the Mamilla pool in the center.